As a Life-Cycle Celebrant® who co-creates custom ceremonies, I get to work with mature couples who are madly in love. Sounds crazy fun, right? Yes! It is a joy. Add that joy into working along side creative event professionals who love to exceed couples’ expectations and voila: double the joy. KB: As an experienced event planner and coordinator, what is your creative specialty? MC: My creative specialty is making sure a wedding or event represents the client. When guests walk into a ceremony or reception I want them to be able to immediately see little details that are special or unique to the couple. The goal is to make sure the couple’s personalities and styles shine through the whole day! On the creative level I also work with my clients on expanding their vision. Typically, a bride has an overall idea of how she wants the day to look (e.g. colors), but she doesn’t know how to bring it all together or how to make it original so that’s what’s we work on together. I feel that planning a wedding should be a collaboration between bride and groom with the planner tying it all together. The main goal is to stay true to who the couple is so through inspiration boards, lots of communication and experimenting, we discover exactly how the day is going to look and feel. 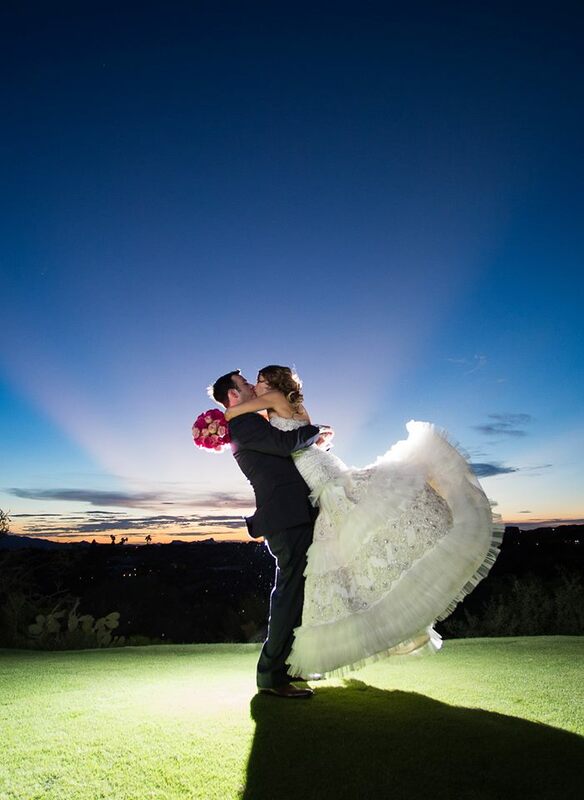 Weddings should be an experience from start to finish! KB: Who are your ideal clients? What do they enjoy about working with you? MC: That’s a tough one! My ideal wedding client is truly in love! They’re fun, original and not afraid to try new things. They’re up for experimenting with new ideas, colors, textures, foods, and so on, to create an experience not just an event. It’s also nice if they’re a little flexible. It makes the process easier on everyone! KB: Do you have any tips for couples or families to consider before they choose a wedding planner and/or coordinator? MC: I definitely recommend hiring a wedding and event planner because they can be true life savers during the planning process by saving you time, money and a few stress headaches! BUT, my number one tip for choosing a planner or any other vendor for that matter, is to make sure that they actually like who they hire. Of course, it’s essential that their planner be organized, experienced, honest and so on, but I truly believe that the client and the vendor should “click.” If during an initial consultation the planner has completely different ideas than the client or if they just seem to have very little to talk about I don’t think it’s a good fit. Same goes for hiring a DJ or photographer – if they rub you the wrong way don’t hire them! A bride and groom will literally spend all day with some of their vendors on the day of, so they should like and enjoy them. If personalities clash or if everyone is not on the same page it will show through in the wedding. A wedding is the most important day of couple’s life so they should surround themselves with people the love and enjoy – vendors included! 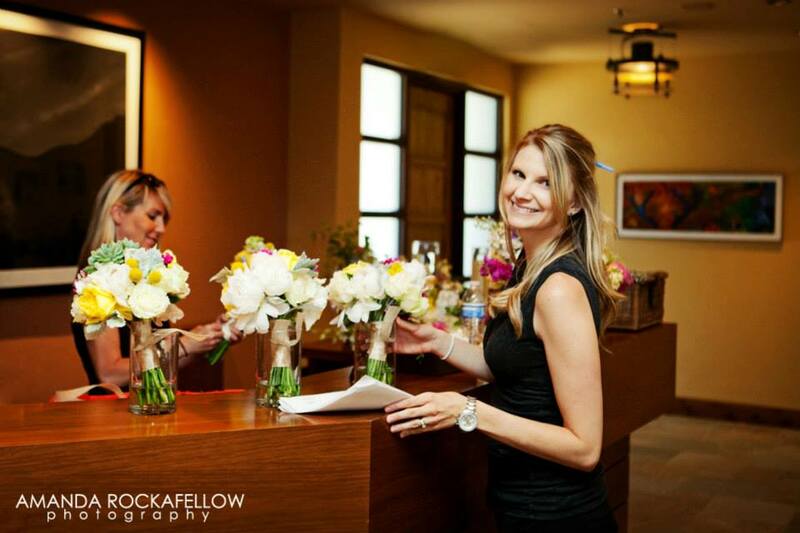 Meagan Crain of MC Events ~ doing what she does best behind the scenes! KB: Anything else you’d like to add? MC: I’m blessed to be planning events in Tucson and I’m a firm believer in using as many amazing, local vendors, businesses and resources as possible. Being chosen as someone’s wedding or event planner is truly an honor and I do my very best to create a fun, stress free, memorable experience for all involved! KB: Thanks for your insights, Meagan. You’ve touched upon a lot of helpful points. When a couple makes choices about who they work with in the planning leading up to and then the experience of the whole wedding celebration itself, these are important decisions that influence how much they enjoy a very important day in their lives. It is an honor and a joy to be chosen as part of their creative team. So true! If you want to learn more about Meagan’s services at MC Weddings & Events, visit her site here or give her a call! I’m sure she will enjoy hearing from you. ← Love wine? You’ll love this wedding. Reblogged this on M.C. Weddings & Events Blog.